This gem of coastline in southern Tuscany is one of the best kept secrets in Italy. 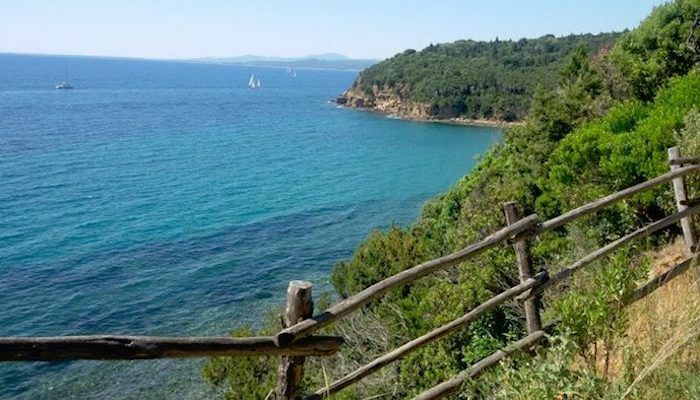 While it’s beloved for its sparkling beaches, sunsets, and fancy estates, runners can get in a solid 8 km on the beautiful hill trails and coastal dirt roads of Maremma’s Nature Reserve. Start out in Terra Rossa, near Puntone di Scarlino (Scarlino Port) and carry south down the dirt street along the sea. At the beautiful Cala Violina beach, make your way northeast on the well kept dirt path back to Terra Rosa. The route is easy as far as trail runs go, but includes some sweat-inducing hills. This loop can also be run starting in the south at Podere Laschetti, the parking place for Cala Violina (just off Strada delle Collacchie). If you start here, you can cap off the run with a refreshing swim! Thanks to Go! Running Tours Florence for their help planning this run. Check them out for more information on running tours in Tuscany.